Multan (October 10, 2016): Board of Intermediate and Secondary Education (BISE) Multan has been announced Bise Multan Board 11th Class Result 2016 Annual Examination on , 10th October, 2016 at 10:10 AM 1st Year Result Online 2016. 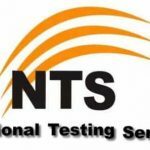 Pakistan board of Intermediate education has various boards that conducted 11th class examination in April, May and June 2016. At this time a huge number of students, who appeared in 11th class exam are waiting for their 11th class result 2016. KPK and Balochistan province BISE 11th result has been declared already. 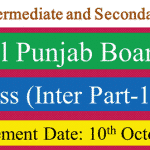 Punjab Board 11th result 2016 will be declared on 10th October 2016 while AJK board 11th result 2016 will be released on 7th October 2016 at 11:30 pm. So, all board of Pakistan education is busy in preparing the 11th board result 2016. The result of 11th class will be declared for stream (Science, Commerce and humanities) on October 10th, 2016.